As a friend of the DANK Haus, your cost is $22. The non-member rate is $24. Everybody loves them, but do you know how to make them? Due to heavy popular demand (our February class sold out in a 1/2 day! ), we're bringing back our very own PRETZEL MEISTER REINHARD for a fantastic, hands-on lesson in authentic German pretzel making! 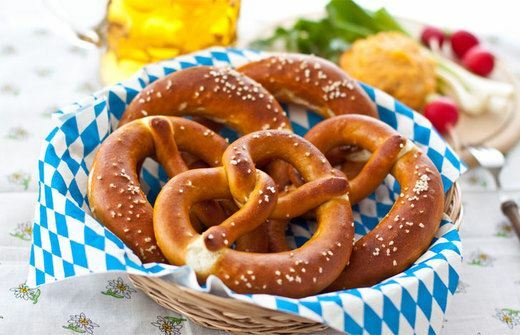 Known long ago as "little rewards," the pretzel or German "Bretzel" was most likely developed by a German bakers guild in the early 12th century. This class will use old-world methods passed down through Reinhard's family. As a special treat, each participant will get a supply of special pretzel lye to make their own pretzels at home. Sign up now, this class sells out fast!